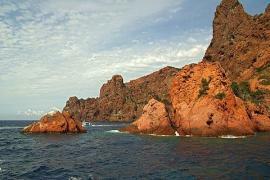 Visit the the scenic peninsula of the Iles Sanguinaires, ideally by boat trip. Views over the islands are beautiful. The island of Corsica is almost the perfect holiday destination, basking in the Mediterranean sunshine off the south of France and to the west of Italy. Hundreds of perfect beaches, magnificent scenery (both on the coast and inland in the mountains), attractive harbour towns resorts and numerous small villages hidden in the surrounding landscape, and of course the perfect Mediterranean climate, all come together to create an ideal travel destination. It is certainly the resorts, beaches and 1,000 kilometres of coastline that are the main attraction for the majority if holidays on Corsica, with swimming, snorkelling, wind-surfing, scuba diving, sightseeing and sunbathing being the most popular activities...... but try to spend some time exploring the other highlights, there is a great deal to discover and enjoy throughout the island! Corsica enjoys a typical Mediterranean climate, with summers being hot and dry, and remaining mild even in winter, at least at coastal level. The mountains are of course a little cooler all year round. See weather and climate for details of the best time to visit. 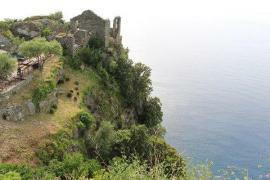 The Natural Regional Park of Corse has been set-up to protect part of the rare and unusual habitats found on the island. The park includes some of the highest mountain peaks on the island, and a great deal of natural beauty. The Scandola Nature Reserve (the western part of the Natural park) is also stunning, accessible by boat trip from towns on the west coast. The towns in Corsica are very attractive, as are hiking and other outdoor activities based both in the mountains and along the coast. Walks are available for all levels of ability, from a pleasant stroll to some of the most difficult mountain walks in Europe. With this guide we introduce many of the highlights of this beautiful island, and hope to help make your visit as varied and enjoyable as possible. 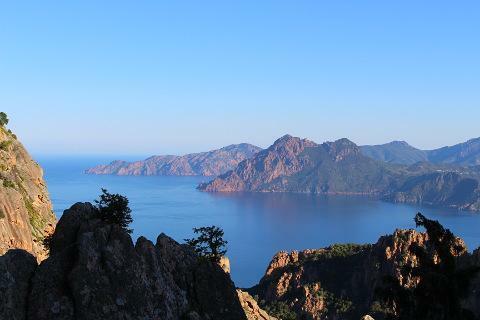 We have also gathered together a few of our favourite photographs: see photos of Corsica. 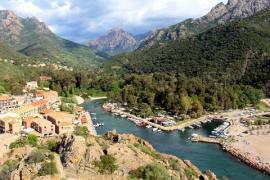 Corsica is too large to do justice to in just one trip to the island. The roads are not always fast, and you will be tempted to stay longer than expected in each place you visit. The most visited regions and towns are to the west of the island including the Balagne region (with Calvi, L'Ile-Rousse, and a great deal of beautiful coastal scenery) and to the south around Bonifacio. 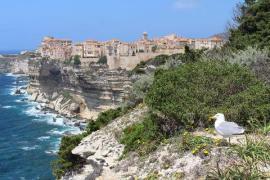 Our favourite areas were the north-west around the Calanques and the beaches around Porto-Vecchio in southern Corsica. You can see lots more of the smaller towns and villages at Corsican villages.